Most common struggles of NUPCO members are on housing/land tenure, demolition, and on clearing operations due to development/infrastructure projects such as flood control, road widening, and beautification program. Provision of social services, especially water, is one of the major local struggles of some members of NUPCO. NUPCO is an active advocate of the advancement of urban poor rights including the passage of Magna Carta for Urban Poor. The coalition, together with IPD, also pursues initiatives toward the empowerment of women as well as greater involvement of the youth in the communities. The advocacies/ campaigns of NUPCO members can be categorized into four: 1) land tenure/housing, 2) development aggression, 3) contending laws, and 4) political/other advocacies. Formed in 2006, NUPCO now has seven member urban poor organizations/formations with majority of membership coming from Metro Manila, while the rest are from other cities/provinces in Luzon, Visayas, and in Mindanao. 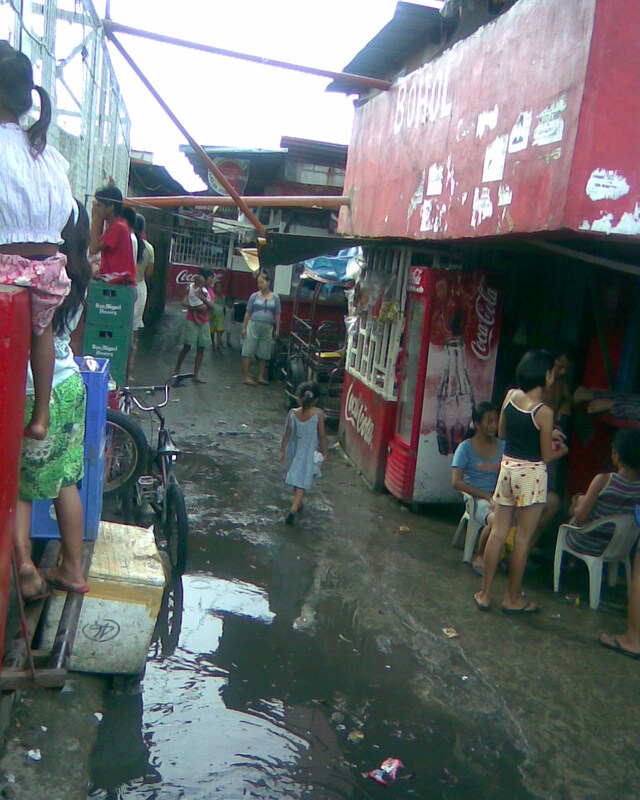 These are Bangsa, Kalipunan ng Samahang Maralita sa Pilipinas (Kasama Pilipinas), Kongreso ng Pagkakaisa ng Maralitang Lungsod (KPML), League of Urban Poor for Action (LUPA), Lakas Ugnayan ng Maralita Laban sa Kahirapan (LUMABAN KA), Pambansang Katipunan ng Maralitang Pilipino (PKMP), and Umalab Ka. There are two levels in the organizational set-up of NUPCO – national and sub-area levels. At the national level, the National Council composed of one representative from each bloc/organization defines or sets the direction of the coalition. At the local level, there are five sub-areas composed of local leaders of organizations present in the area. The sub-areas – Manila, Quezon City, Caloocan-Malabon-Navotas-Valenzuela (CaMaNaVa), South (focus on Taguig), and East (focus on Marikina) – are determined based on the presence of NUPCO members in these areas. A coordinator is assigned in each sub-area. Decisions are made through consensus reached either at the national or local level. A consensus to form committees to further enhance the coalition’s capability to implement programs/ blueprints was already reached this year. NUPCO reaches out to independent urban poor organizations especially those located in areas where the coalition has active engagements for security of land/housing tenure. The government’s rationale for the QC-CBD project also dubbed as the “Triangle Park” is premised on the maximization and so-called best use of the land. The rationale are: QC has large parcels of land; it is highly accessible from other directions; ideal/conducive site for regional commercial/retail centers; and presence of integrated open space network; and the prospects of easing metropolitan jobs-housing imbalance; and that this urban development model can serve as a basic guide for the government to use in creating more areas of competitive advantage serving as hubs of intense economic growth in different areas nationwide. Triangle Exchange is envisioned to have the highest densities of the Triangle Park. It will have commercial and residential establishments fully integrated with the transit facilities, providing the best regional links and commuter access. Residences at Veterans will be a mixed-use community with a residential focus. It will have a mix of housing, from high-rise condominiums to medium and lower density dwellings. Residents will have the advantage of having expansive parks nearby. Downtown Hub will have institutional locators (medical, training, science, etc.) integrated with commercial and residential developments. Emporium will focus on information and technology activities. Commons will consist of a park with cultural, recreational, entertainment and amenity focus. This P3-billion QC-CBD project began as early as 2002 with the issuance of Executive Order No. 106 creating the tripartite body called the North Triangle Development Committee that will oversee the development process of QC-CBD. Specifically, the Committee is tasked to study and resolve the problem of security of tenure of the residents in North Triangle – a 37-hectare property of the National Housing Authority(NHA) that is leased to the Robinsons Land Corporation. Informal settler families including members of Kasama Pilipinas, an affiliate of the National Urban Poor Coalition (NUPCO), are occupying approximately 16 hectares of said property. The North Triangle Development Committee consists of the Mayor of Quezon City as Chair while the members are the Housing and Urban Development Coordinating Council (HUDCC) Chair, one representative from the Resident Organization/Associations, representative from the Presidential Commission for the Urban Poor (PCUP), and the representative from the National Anti-Poverty Commission (NAPC). The area to be covered by QC-CBD was later expanded while the name and composition of the body tasked to define and implement the plan was changed by EO 620 issued by Gloria Arroyo on 4 May 2007. The EO mandates the “rationalization and speeding up of the development of the East and North Triangles, and the Veterans Memorial Area of Quezon City, as a well-planned, integrated and environmentally balanced mixed-use development model.” It also transformed the North Triangle Development Committee into the Urban Triangle Development Commission (Tri-Dev Commission) and shrank the composition of said body from five to three members – a representative from the Office of the QC Mayor as chairman, and the General Manager of NHA and representative from the Office of the President as members – easing out the residents’/people’s organizations and the government agencies where the public particularly the poor/marginalized are represented such as NAPC and PCUP. The overall vision of the QC-CBD is to have a CBD that asserts the role of Quezon City in the metropolitan and national economy and recognize it as a high value asset which a) contributes and provides resources for local government; b) presents a model urban development; and c) promotes urban renewal and development. •	Selective reconfiguration or relocation of institutional facilities. •	Phased development including existing plans, legal constraints, value priming and infrastructure requirements. b.	b) reduction in land area from 23.3 to 15 hectares. This will require larger offsite development of around 15-51 hectares of land and 318 MRBs offsite will have to be built. Cost estimate for this is approximately P8.6 billion which is equal to the value of 28.1 hectare of land. Under this option, some 8.3 hectares (equivalent to 41% of on-site and off-site development costs) of CBD area will be available for commercial/mixed use. 2. In-city relocation using CMP and LGU counterpart for land development and third party source for housing and on-site development financing. 3. Relocation to nearby cities with fair compensation packages. The subsequent Executive Order 620-A issued on 11 September 2007 and which amended EO 620 still cited the WB study on the “Preparation of a Comprehensive Framework Plan for the Development of a Central Business District in Quezon City” to be included in the review, evaluation, and integration of already available urban development plans. Obviously, the National Government has also shown great interest in this project as EO 620-A not only expanded further the areas covered by the QC-CBD to include the Ninoy Aquino Parks and Wildlife, but also the Tri-Dev Commission’s functions and composition.___ HUDCC is included again in the Commission as Chair, making the representative from the Office of the Mayor as Co-chair, while the representatives from the NHA and the Office of the President remained as members. Another glaring amendment in EO 620 that is contained in EO 620-A is the inclusion of Tri-Dev Commission’s function to “formulate a viable resettlement program for qualified informal settler families in the 250-hectare QC-CBD project area.” This shows that the intention of Tri-Dev Commision is to relocate the affected residents rather than exhaust/develop the plan for mixed use of the land. The San Roque Community Center-North Triangle Alliance, Inc., an affiliate member of Kasama Pilipinas and composed of 16 local organizations with a total of approximately 3,000 members presently residing in Sitio San, Roque, Bagong Pag-asa, Quezon City, had intensified its campaign in 2005 for mixed use/on-site development which the residents started demanding for as early as 2000. The Alliance had already presented its proposals/recommendations to the concerned agencies and had conducted initial mass actions in the past years. But none of its recommendations have so far been considered by the Tri-Dev Commission.